Final countdown to the 13th International Symposium on Concrete Roads! The world’s leading Symposium on Concrete Roads will be held from 19 to 22 June 2018 in Berlin, Germany. “Concrete connects“ is the motto of the 13th International Symposium on Concrete Roads where more than 65 technical presentations will be given! 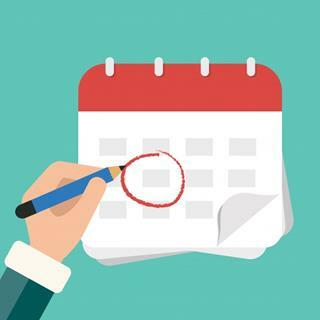 The programme also includes, amongst others, a wide range of technical excursions an evening event with that special Berlin flair and a cruise on the River Spree, ensuring magical moments and the opportunity for many encounters. Make sure you register via the link below! 13 ISCR: Do not miss the keynote speech by Prof. Michael Darter, top expert in the design of concrete pavements! During the Opening Session of the 13th International Symposium on Concrete Roads, on 20 June 2018, the keynote speech will be delivered by Professor Michael I. Darter, PE, PhD, Emeritus Professor of Civil & Environmental Engineering at the University of Illinois and Principal Engineer for Applied Research Associates, Inc. Professor Darter has been involved in pavement engineering throughout his entire 40-year career and is an internationally recognized authority in highway and airport pavements. Through his extensive work in research, teaching, and consulting, he has contributed significant new knowledge and has developed widely used pavement engineering tools. He served as Principal Investigator on many national (U.S.) and state research projects in design, evaluation, rehabilitation, construction and management of highway and airport pavements over these years. Professor Darter has received many awards for his academic and professional engineering contributions over the years. In 2017, the American Concrete Pavement Association (ACPA) presented him the Hartmann-Hirschman-Egan (HHE) Award, which is ACPA’s highest order distinguished service award. The award recognized Professor Darter for his innovation, leadership, teaching, and mentoring in the field of civil engineering. The title of his keynote speech is “Cost-Effective Pavement Design Requires Useful Prediction Models”. It will clarify how concrete pavement performance, both for jointed and continuously reinforced concrete, can be predicted in an effective, useful and reliable way. EUPAVE welcomes a new partner, Chem-Crete! EUPAVE welcomes Chem-Crete Europe, an American company with a European branch based in Slovakia. Chem-Crete develops and produces specialty products designed to protect and enhance the performance of concrete. Together with bus transport, cycling and walking, tramways are today the dominant transport modes in urban areas. Both trams and buses require a high quality and, if possible, dedicated infrastructure, for which concrete offers safe and reliable long life solutions. Read the publication to learn more about those safe and reliable long life solutions! EUPAVE publication “Concrete Safety Barriers: a safe and sustainable choice” available to all! 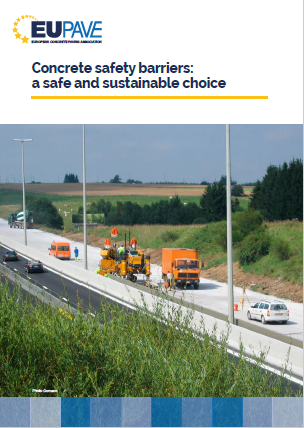 EUPAVE Concrete Safety Barriers workshop held in March 2018 marked the launch of the updated publication “Concrete Safety Barriers: A Safe and Sustainable Choice”. From now on, all EUPAVE's publications are made available on our website to the general public. You can now download the brochure and learn more about the advantages of Concrete Safety Barriers. EUPAVE publication “Achieving and maintaining the evenness of concrete pavements” available to all! EUPAVE released last year a publication on “Achieving and maintaining the evenness of concrete pavements”. This publication too is now freely available to everyone. The publication provides technical guidance for the execution of concrete pavements. It contains a review of the measuring methods for evenness, guidance on the parameters that have an influence on concrete pavement evenness and a presentation of the state of the art of techniques used to restore evenness.